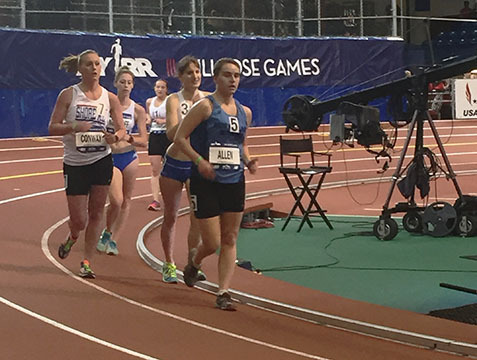 Last Saturday, Maegan Allen of the New England Walkers earned 7th place in the Women’s 1-Mile Race Walk at the Millrose Games in NYC. Competing against the nation’s top women race walkers, Maegan held 4th position from 1200 meters until the final straight, finishing in 7:35.94. This entry was posted in Uncategorized by Rich McElvery. Bookmark the permalink.